With unlimited complementary access to Wild Wadi Waterpark and access to Jumeriah private beach, the Jumeirah Emirates Towers Hotel is the place to stay when visiting Dubai. Located centrally on the lively Sheikh Zayed Road and being the fourth tallest hotel in Dubai, the Jumeirah Emirates Towers provide breath-taking views of the sunset. 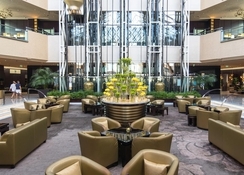 A key feature of the hotel is its lavish and decorative atrium lobby, which is one of the best places in Dubai for doing business. The hotel offers wide-ranging facilities to guests that include a massive ball room, eight meeting rooms and outdoor venues for social and business events. 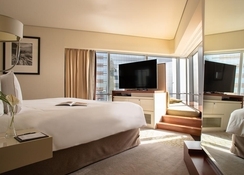 Guests can choose to stay in any of the 400 spacious rooms and suites. Guests can also taste scrumptious food from the award-winning hotels Al Nafoorah, Hakkasan, and the Rib Room. The Dubai World Trade Center and the Dubai International Financial Centre are just a couple of minutes from the hotel. Jumeirah Emirates Towers also facilitates guests with a complementary shuttle bus service to a number of events and conferences. 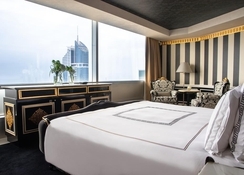 Jumeirah Emirates Towers Hotel enjoys a central location in Dubai. It is just 2.8km from the Dubai World Trade Centre, while the Dubai International Financial Center is only 350 metres away. Guests can also enjoy spectacular view of Burj Khalifa, as the hotel is only 2.9km away from it. The Dubai International Airport is 11km away from the hotel, making it convenient for the guests to board flights on time. Shopaholics will not be disappointed either, as the Dubai Mall is only 3.6km away from the hotel. 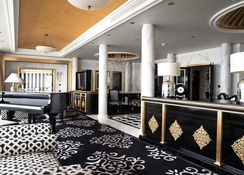 The hotel features 400 luxurious suites and rooms that are contemporary, well-furnished and luxurious. 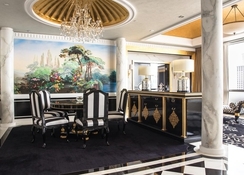 The amenities in the rooms will satisfy the unique requirements of all kind of travelers. All the rooms comprise all the necessary amenities, including flat-screen TVs, seating areas with plush sofas, air conditioning, room service, coffee maker, daily maid service, ironing board, kitchenette, microwave oven, mini bar, free newspaper, rooms for non-smokers, telephone, voicemail, refrigerator, safe, satellite television/cable, DVD/VCR, whirlpool, internet access and much more. 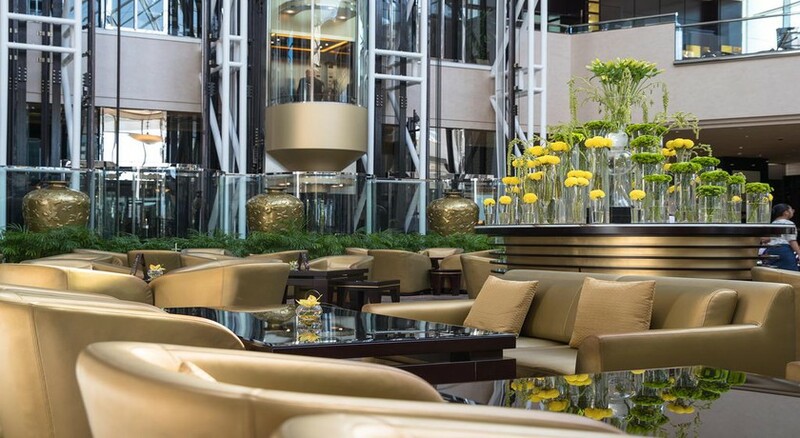 At Jumeirah Emirates Towers Hotel, you can experience wide-ranging dining options. Whichever type of foodie you may be – the fabulous restaurants will serve you with elegance. There are seven restaurants and four bars in the hotel namely Mundo, The Rib Room, The Rib Room Bar, Daefi Lounge, Pool Bar, Alta Badia, Alta Badia Bar, La Cantine Du Faubourg, Hakkasan, Al Nafoorah and Flow. If there is one thing, you don’t need to worry when you are staying in this marvelous hotel, is discovering fun things to do. Hit the well-equipped gym in the hotel to maintain your fitness level, visit the pool or have some fun in the sun. Children too can have fun in the children’s pool under the supervision of the hotel’s staff members. These facilities will never let you have a dull moment.